I hit a local freestone after work. 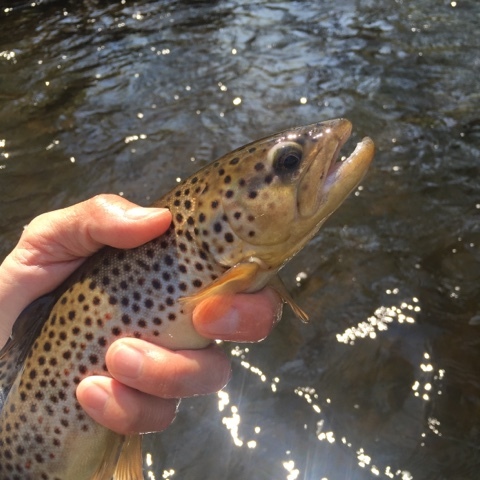 It was a bright day, and I wasn’t sure if the fish would cooperate. 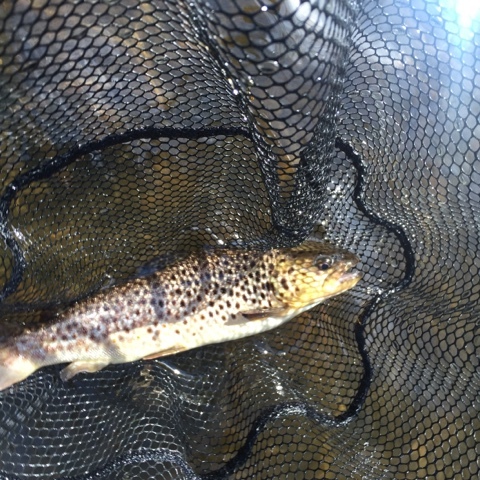 A few casts later, I was surprised to land a brookie. 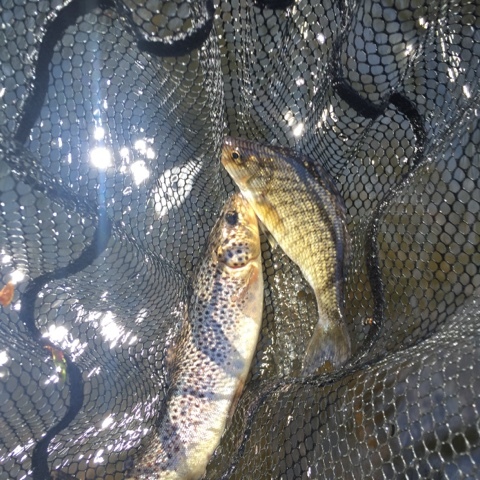 Then, I experienced a two-fer, with both a brown and a white bass perch hitting my nymphs at once. 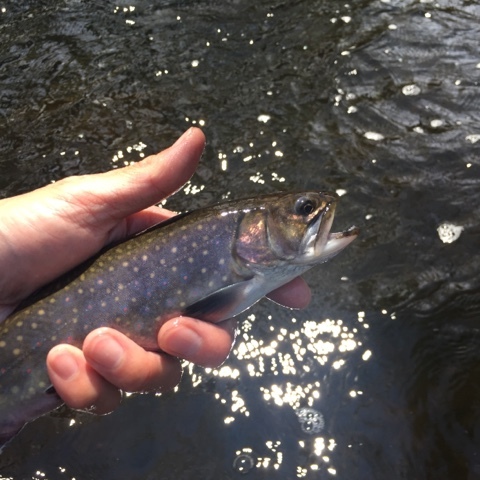 A little later, I landed another brookie and five browns. 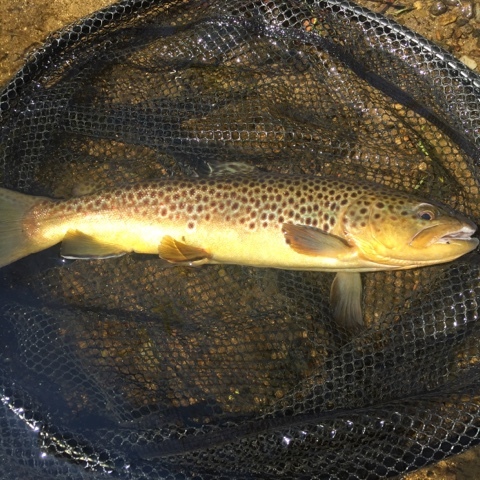 A 13″ brown jumped twice. Here are some of the browns. The water temperature was about 60 °F, and there were plenty of bugs. I saw midges and caddis. At that water temp., moreover, a fish’s metabolism rate is quite high, and so, they’re going to feed. 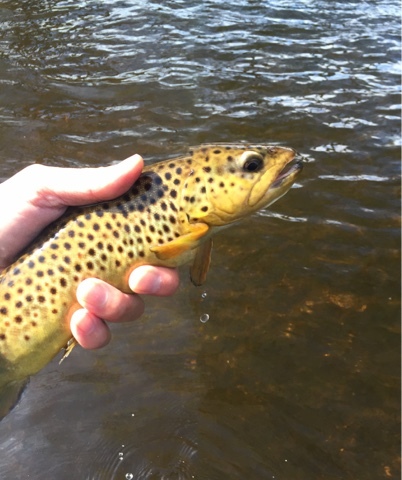 Most of the fish I landed were in the riffles. Some people call this the “B water.” I think fish hang out there to get first dibs on the bugs. 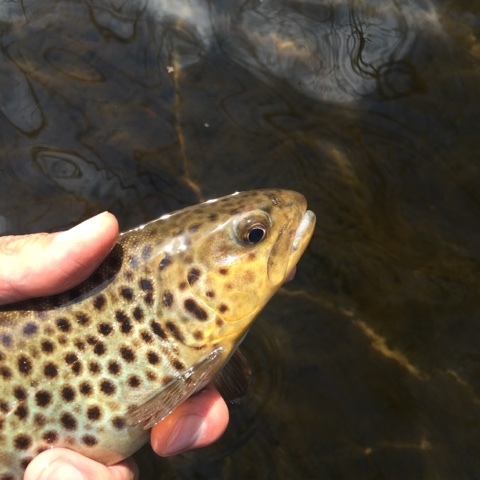 Also, pressured trout tend to move to the riffles to get away from anglers. 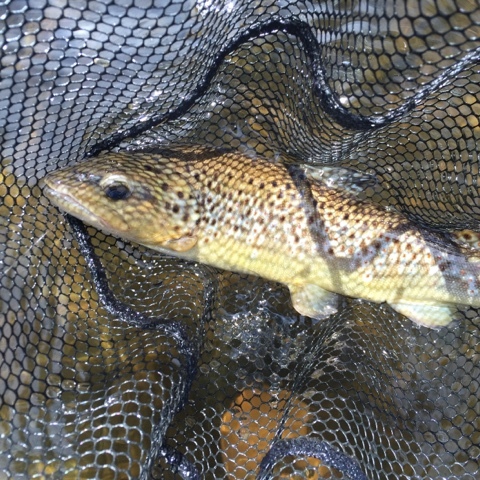 As long as they can find a rock and hang out in the slower water in front of or behind it, trout have everything they need: fast current (a conveyor belt that carries food), slow water (holding water in which they can conserve energy), and rippled water on the surface (protection, as it hides them from predatory birds and anglers). Nice! That's a white perch, as far as I know there are no white bass in New England bu there are plenty of white perch! 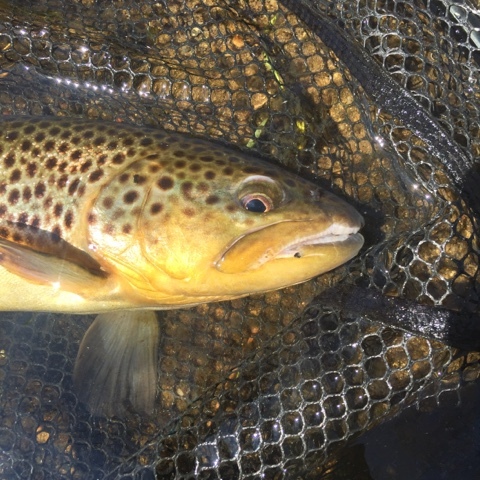 What flies do you fish and how do you fish the B water riffles? I pass by much of this kind of water, but have to rethink my strategy it appears. Thanks in advance.